No Dear, Saturday Collection is 10.98cr Confirmed by Taran Adarsh & Komal Nahata In His Blog. It Was expected to be 13-14cr But Due to Sad Demise of Bala Thackrey Collections are Affected In Mumbai. JTHJ lost way Behind Ek tha tiger....Accept the Game...n U have LOst ! 1 more thing i didn't added is ETT was Realesed Alone & Banged... But JTHJ released with SOS which Affected Its Collection,otherwise the domestic collection will be 90-100cr Instead of 71cr. F**k you Mahn dont have Half half information u are taking Information like an illiterate !! seriously dude!! 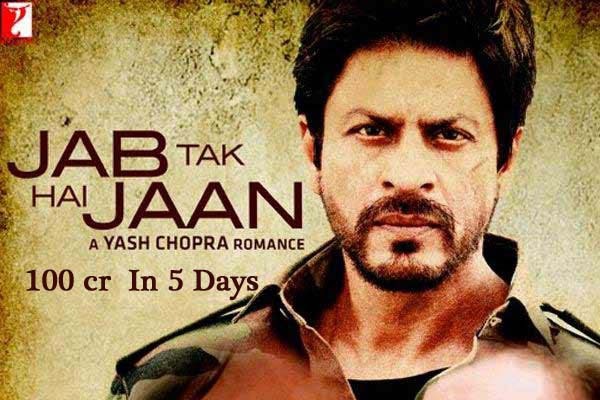 to Reach 100 Crores Mark for JTHJ it will take another Three Days....BEt ?? Ramadan. That is before Eid. to watch movies around that time.